“Hanging file storages”, “Blueprint Racks”, “Blueprint Stands”, “Hanging File Centers”, “Hanging File Organizers”, “Hanging File Storage Stands”, or “Hanging Filing Cabinets”, call it whatever you like. 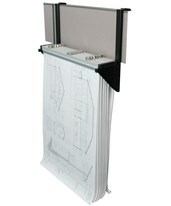 All are great for storing and easily viewing blueprints and large documents on a space saving budget. 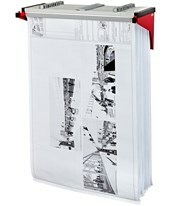 There are many different styles of hanging file storage stands and hanging file organizers. Some are simple wall-mounted racks, while others require no installation. Most impressive is the selection of the mobile hanging file centers with wheels (rollers and casters) which you can easily keep next to you wherever you are in your office. For limited space, there are also options to mount your blueprint rack to a wall. 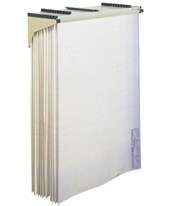 Hanging filing cabinets, also known as hanging file storage or hanging file centers, provide a convenient way to access and store your blueprints, maps, artwork, and other large-format documents. Just attach your large-format files to hanging plan clamps, and these hanging file storage stands will keep them smooth and neat, while making efficient use of space. Some of these hanging file organizers have swinging arms that hold your clamps and documents, while some of these file centers feature a fixed bracket where you can drop in or lift out your plan clamps and large files. 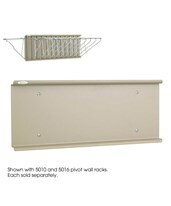 The cubicle wall rack fits neatly over the wall dividers of your cubicle. 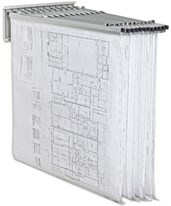 All of these hanging file centers are lightweight, convenient, and hold hundreds of blueprints, maps and more in a vertical, upright position. Made of durable steel with a choice of colors, you are sure to find the perfect hanging file cabinet for you. For extra protection, we carry a line of fully enclosed vertical blueprint cabinets with locks for secure hanging file storage. Whatever your requirements, Tiger Supplies has a hanging file center, hanging file storage stand, or hanging filing cabinet for you! Such well-known manufacturers as Mayline, Safco, and Adir provide blueprint plan racks in a variety of styles and colors, all made of durable, long lasting materials, assuring long-term use of your hanging file center. Extends out less than 12"